This picture shows some of the lettuce plants that we have been eating since November. The plants are going to seed. 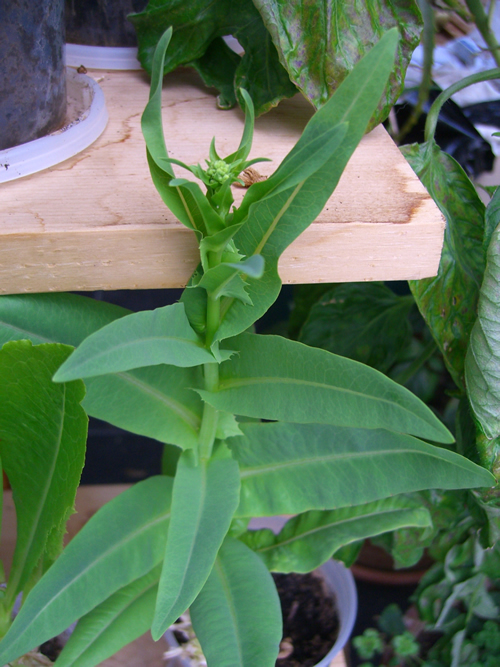 You can easily see the seed heads on the tip of the arugula in the second picture. The other thing of note, and the arugula is doing it as well, is that the plants are producing smaller but more plentiful leaves than when the plant was younger. Farmers will plant lettuce every week, and harvest the entire plant. We only harvest the outer leaves and let the plant keep producing. 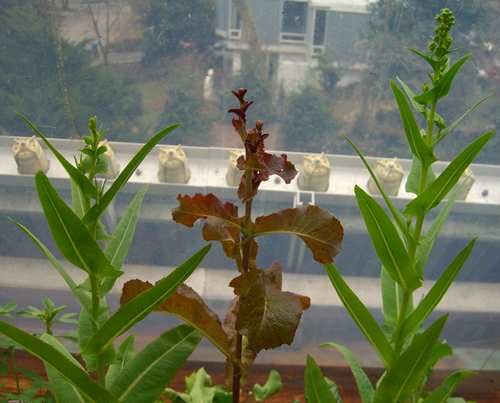 Note the smaller size but more plentiful leaves as the lettuce goes to seed.